What is faith? What does it mean to have great faith? What does faith look like in our relationship with God? What is the nature of our relationship with God? 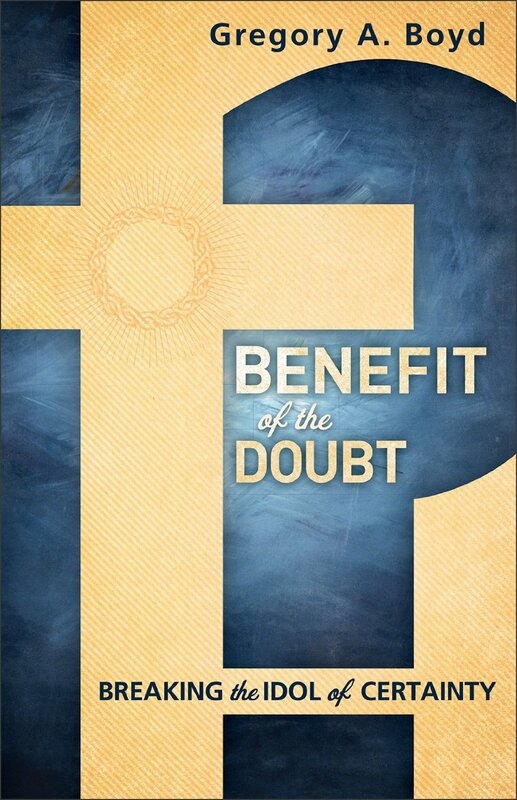 These are the questions that drive Greg Boyd’s book Benefit of the Doubt: Breaking the Idol of Certainty. Part theology, part philosophy, part auto-biography, Boyd takes the reader on a journey of exploring the nature of biblical faith, contrasting it with the certainty-seeking faith he sees in many believers today. Boyd argues that the problem with faith today is that it is most often expressed as an intellectual, or psychological, certitude. 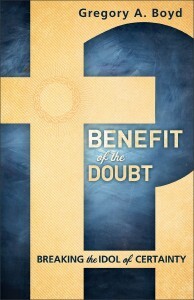 Using the metaphor of the “Strength Tester” carnival game, Boyd writes that the goal for many Christians today is “to hit a faith mallet as hard as you can in order to send the faith puck up the faith pole to get as close to the certainty bell as you possibly can.” (26) Faith has become the removal of, or the resistance to, doubt. The greatness of our faith is directly related to how certain we are about various beliefs; and God, of course, will reward our great faith by answering our prayers and showering us with blessing. Our relationship with God, then, is entirely dependent upon how certain we are in our minds that various things are true. God is good. Jesus showed us that. Our faith in God is a lived experience, a covenantal relationship based on his character. It is not based on a contractual agreement – an external, legally-binding arrangement – whose benefits are accessed by keeping doubt at bay and achieving various levels of certainty. We have hope, not in the power of our minds to believe the unbelievable, but in the power of God who raised Jesus from the dead.